Today, the “one post a day goal” for this blog looks in danger again. Even as I write this the hands on the clock move ever nearer to midnight. No point in trying to edit the post date either, WordPress tells no lies! My excuse this time is that I have been resurrecting an old website of mine most of the day. Technical problems can be simple, or they can take ages. If I hear the word “PHP” again I will scream. Still, the new (old) site is beginning to look good again, all it needs is some traffic and it will be truly open. The other thing I blame my non-production upon is the renewal of an old acquaintance, Lee Auburn. 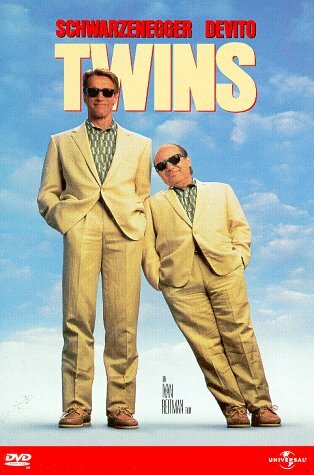 Together, we look sort of like Danny Devito and Arnold Schwarzenegger in “Twins” if we stand side by side. Good fun if we tell people that we really are twins that were separated at birth! Those days were good times and I met some really nice people, Lee being one of them. The site I am rebuilding happens to be a community site that served that same group of gamers, amongst others, so meeting Lee again was kind of a synchronicity. After we had Facebooked, linked and otherwise managed to re-connect in the cyber sense, we did an old fashioned thing; we chatted on the phone. We chatted on the phone for a few hours in fact. It turns out that Lee is also learning to become a writer right now. Talk about synchronicities; do they come in threes? Lee hasn’t been writing long, but his writing is pleasant and easy to read. Look Lee up here on Facebook and here in his “Explore Auburnville” personal blog. Tell him I sent you! This entry was posted in Review, Writing and tagged Become a writer, Blog, Writer, Writing. Bookmark the permalink.